MUHAM MAD SABIR SHAH WHO IS POPULARLY KNOWN AS PIR SABIR SHAH HAILS FROM A HIGHLY PRESTIGIOUS SPIRITUAL FAMILY OF SIRIKOTE DIST. HARIPUR IN THE KHYBER PAKHTUNKHWA PROVINCE OF PAKISTAN. 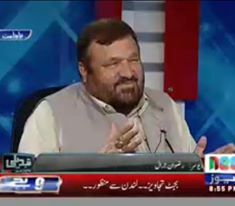 PIR SABIR SHAH WAS BORN IN 1955 AT SIRIKOTE, HARIPUR, KPK (FORMER NORTH WEST FRONTIAR PROVINCE). HIS FATHER SYED MUHAMMAD TAYYUB SHAH (R.) WAS THE SON OF SYED AHMAD SHAH SIRIKOTI (R.) WHO WAS A FAMOUS ISLAMIC REFORMER IN THE INDO-PAK SUBCONTINENT. HE WENT TO BURMA/BENGAL AND LIVED THERE MANY YEARS FOR PREACHING THE TEACHINGS OF ISLAM (1920-1941). MANY BENGALIES EMBRACED ISLAM ON HIS HANDS AND MANY OF THE WEAK BELIEVING BECAME PRACTISING MUSLIMS. SYED MUHAMMAD TAYYUB SHAH (R) THE LONELY SON OF MUHAMMAD SYED AHMAD SHAH (R), GOT HIS EDUCATION AND SPIRITUAL LESSONS FROM HIS FATHER. HE WAS BY BORN SAINT OF HIS ERA. HE LED SIMPLE LIFE AND BROUGHT CHANGE INTO THE LIVES OF THE PEOPLE INTERACTING THROUGH LOVE FOR HUMANITY, PEACE AND PREACHING OF JUSTICE AMONG THE FELLOW BEINGS. THIS GAVE HIM A STATUS OF LEADER AMONG HIS TRIBEMEN AND OTHERS. EVERY NOW AND THAN WHEN A DISPUTE WOULD ARRISE AMONG THE PEOPLE, THEY WOULD COME FOR A VERDICT FROM SYED MUHAMMAD TAYYUB SHAH (R) AFTER THE DEATH OF HIS FATHER SYED MUHAMMAD TAYYUB SHAH (R) BECOME THE SPIRITUAL LEADER OF THE FOLLOWER OF HIS FATHER ALLAMA HAFEZ SYED AHMED SHAH (R) (GRAND FATHER OF PIR SABIR SHAH) ESTABLISHED A FAMOUS ISLAMIC INSTITUTION NAMED JAMEA AHMADIA SUNNIA ALIA IN SOUTH ASIAN SUBCONTINENT, CHITTAGONG, BANGLADESH IN 1954. NOW IT IS ONE OF THE BIGGEST ISLAMIC EDUCATION CENTER IN BANGLADESH WHERE 4/5 THOUSANDS OF STUDENTS ARE STUDYING AND MILLION OF STUDENTS COMPLETED THEIR STUDIES. PIR SABIR SHAH GOT HIS EARLY EDUCATION FROM SCHOOL AT SIRIKOTE. HE COMPLETED HIS BACHELORS DEGREE FROM GOVERNMENT COLLEGE, ABBOTTABAD OBTAINED BACHELORS OF ARTS DEGREE FROM UNIVERSITY OF PESHAWAR WITH ARABIC AND ISLAMIC STUDIES AS MAJOR SUBJECTS AND HE IS AN OUTCLASS SPEAKER IN THE SUBJECTS. HE FURTHER WENT FOR HIGHER STUDIES FROM INTERNATIONAL ISLAMIC UNIVERSITY, ISLAMABAD. HE ALSO COMPLETED HIS DIPLOMA IN ARABIC LANGUAGE FROM INSTITUTE OF MODERN LANGUAGES ISLAMABAD. ALTHOUGH GOT THROUGH THE RELIGIOUS AND CONVENTIONAL EDUCATION SYSTEMS, HE HAD BEEN VERY CURIOUS ABOUT DAY TO DAY AFFAIRS AND THE MODERN EDUCATION SPECIALLY SCIENCE AND POLITICAL AFFAIRS. HE WAS ALWAYS KEEN INTERESTED IN THE HISTORY OF BIRTH OF PAKISTAN DURING HIS SCHOOL AND COLLEGE TIME. AT THE UNIVERSITY LEVEL HE STUDIED EXTRA CURRICULAM BOOKS AND GATHERED KNOWLEDGE ABOUT THE NATIONAL AND INTERNATIONAL POLITICS. HE NEVER INTERESTED INVOLVING HIMSELF IN PRACTICAL POLITICS. DURING THE ACADEMIC LIFE HE FELT THE NESSECITY OF TAKING PART IN POLITICS. IN THE YEAR 1985, PIR HAFIZ SYED MUHAMMAD TAYYUB SHAH(R) WAS APPROACHED BY THE FOLLOWERS AND LOCALPEOPLE/ INMATE OF SIRIKOTE AND SURROUNDING AREAS, THEY DEMANDED THAT PIR SABIR SHAH SHOULD LEAD THEM IN THE FORTHCOMING PROVINCIAL ELECTIONS. PIR SABIR SHAH WAS ALSO APPROACHED BY THESE PEOPLE AND THE DECISION WAS PUT TO HIS FATHER. MUHAMMAD TAYYUB SHAH(R) CALLED ON A GRAND JIRGA AND ASKED THE PEOPLE GAVE TO THEIR OPINION ABOUT THE MATTER. THE ATTENDANTS UNANIMOUSLY AGREED THAT PIR SABIR SHAH SHOULD CONTEST THE FORTHCOMING ELECTION ON THEIR BEHALF. MUHAMMAD TAYYUB SHAH (R) GAVE HIS CONSENT TO THE MATTER BY ESTABLISHING THAT HIS PRAYERS WOULD ACCOMPANY THE WILL OF THE PEOPLE IF PIR SABIR SHAH WOULD SERVE THE PEOPLE INSTEAD OF GOVERNING THEM. ACCORDING TO THE CONSENT OF PEOPLE OF SHETALOO SARIF, SIRIKOTE PIR SABIR SHAH JOINT PML (N) AND WON ALL THE ELECTION OF 1988, 1990, 1993, 1997 AND 2007 IN PROVINCIAL ASSEMBLY. HE SERVED AS THE 18TH CHIEF MINISTER OF THE PROVINCE FROM THE 20TH OCTOBER 1992 TO 25TH FEBRUARY 1994. IN RECOGNITION OF HIS CONTRIBUTION TO THE NATIONAL POLITICS HE WAS AWARDED WITH THE POSITION OF ADVISOR ON POLITICAL AFFAIRS TO THE PRIME MINISTER OF PAKISTAN 1997 TO 1999. HE IS NOW HOLDING THE POSITION OF PROVINCIAL PRESIDENT OF PAKISTAN MUSLIM LEAGUE (N) WHICH IS THE LARGEST POLITCAL PARTY OF PAKISTAN. SYED SABIR SHAH IS POPULARLY KNOWN AS THE MOST HONEST, DEDICATED AND PATRIOTIC IN EVERY ASPECTS OF THE NATIONAL INTEREST INSPIRED BY HIS FORE FATHERS. HE TAKES KEEN INTEREST IN THE SPIRITUAL FIELDS. FOR HIS CONSTITUENCY HE SERVED MUCH MORE THAN A CAPACITY OF ANY PROVINCIAL LEGISLATOR IN PAKISTAN. WITH THIS END IN VIEW HE HAS ESTABLISHED A HUGE COMPLEX IN THE NAME OF ”TAYYABUL ULOOM EDUCATIONAL COMPLEX” AT SIRIKOTE. WHERE PROVIDING MODERN AND ISLAMIC EDUCATION. HE IS THE FOUNDER OF JAMEA AHMEDIA SUNNIA MOHILA MADRASH SITUATED AT CHITTAGONG, BANGLADESH, WHICH RUNNING SINCE 1996, WITH GOOD REPUTATION AND HIGH APPRECIATION. PIR SABIR SHAH 40TH DIRECT DESCENDENT OF HAZRAT MUHAMMAD MUSTAFA (S.M.) AND BY DINT OF SPIRITUAL DEVELOPMENT HE WAS AWARDED KHELAFAT FROM SYED MUHAMMAD TAYYUB SHAH (R) IN THE YEAR 1976. HE GOT MARRIED IN 1991. PIR SABIR SHAH VISITED SEVERAL COUNTRIES OF THE WORLD. HE ALSO LED MANY DELEGATIONS TO MUSLIM COUNTRIES TOWARD ESTABLISHING AND STRENGTHENING MUSLIM UMMAH AND ISLAMIC BROTHERHOOD. PIR SABIR SHAH IS THE EXECUTIVE PRESIDENT OF ANJUMAN-E-RAHMANIA AHMADIA SUNNIA TRUST, BANGLADESH, THE LARGEST RELIGIOUS ORGANIZATION IN ASIA. UNDER HIS ACTIVE GUIDANCE THE ANJUMAN TRUST IS SUCCESSFULLY MANAGING A GOOD NUMBER OF FAMOUS RELIGIOUS INSTITUTIONS.